The health care changes rapidly. The multitude of developments in and around a hospital are connected to each other in many different ways, which makes the future unpredictable. This complexity can paralyse your work. Because if everything is connected to everything, situations can be completely different tomorrow and not everything is within your sphere of influence, what is your role as leader then? 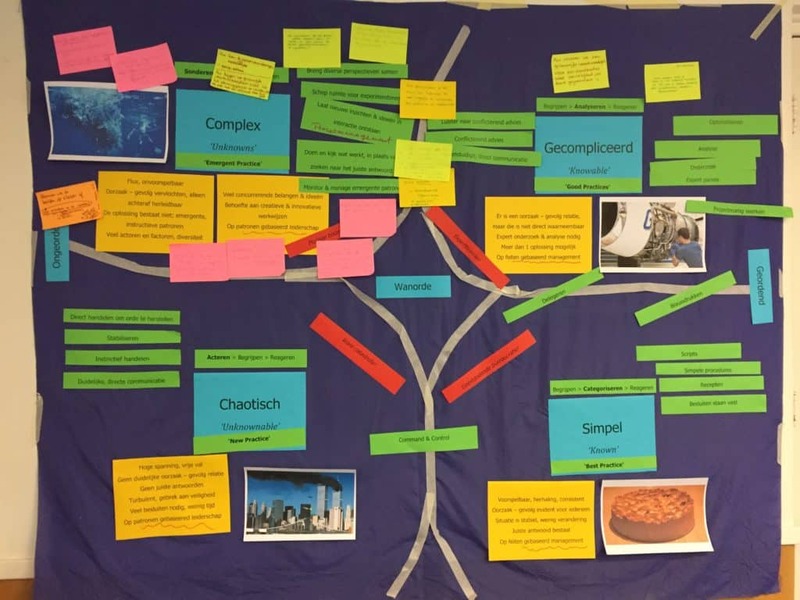 Understanding complexity– Is it complex or complicated? What does this mean for leadership and decision-making? Why do blueprints not work in complex settings? Navigating in complexity – What is your course of action if the issue at hand is complex and the results are unpredictable? Reflect on your own case using the Complexity Navigator. Participative methods – Complex issues require new approaches. Learn more about Large Scale Interventions. This workshop is part of the leadership programme of the Deventer Hospital, which is developed by Sioo, the inter-university centre for change management and organisational processes. Petra de Boer designed and facilitated a one-day workshop about complexity together with Chris van Wijk, learning manager at Sioo. The training took place twice before the summer and because of great success it was repeated once more in September.